The EV Code Signing Certificate defends code from being changed in an unauthorised way or violated by third parties. Sometimes, applications downloaded from the internet is treated by a computer as malware because it does not have a certificate issued by an authorised certification authority such as CERTUM. 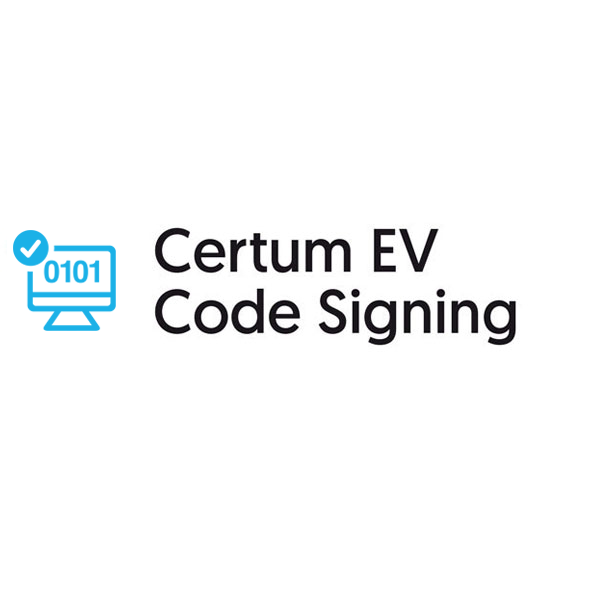 Signing code with a Certum EV Code Signing certificate defends it against unauthorised access and being stolen and eliminates the risk of ® SmartScreen Application Reputation warning messages. Software signed by an EV Code Signing certificate will raise protection and the confidence of customers, which will cause a higher number of downloads. EV Code Signing Certificate digitally signs files ( .exe, .cab, .dll, .ocx, and msi ) and kernel-mode software and it is required to access the Windows Hardware Development Center Dashboard Portal. Certum code signing certificate can be installed on cryptographic card from leading vendors: Giesecke & Devrient, Oberthur, Gemalto. Product available only as a suite. Certum EV Code Signing Suite contains: USB token combining a smart card reader and a Micro-SD card slot, cryptographic smart card, instructions.